The latest technology solutions can be used by any business to improve operational efficiency and save money. This seems like an obvious statement, but there are some detractors to this idea that do not see the value of changing how they do business to investing in something new. This is especially true in industries that are traditionally low-tech. After all if you do not need a computer or the internet to complete most of your job, why spend money on a new technology? The answer is simple. In a recent article from Small Biz Technology, Dean Stallone, the CEO of PMD Promotions, shared the story of his business finding success by ditching paper records for FileMaker Pro and Go. For more than 20 years, the company has been a leader in window posters and street-visible displays with a network of more than 50,000 independent cafes, restaurants, retailers and storefronts in 22 major cities across the country. 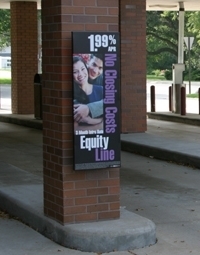 Organizations partner with them to run targeting marketing campaigns and get their posters placed in areas where people will see them. This does not seem to be the most high-tech operation, and from the beginning it wasn't. Contractors carried a notebook and clipboard with the day's assignments and a digital camera as they hit the road to install, take down or check-in on posters. All notes were written by hand and faxed to a central office, pictures were taken and emailed and additional staff members took this data and entered it into the office computer system. This was a labor intensive process that had several potential pitfall areas. To improve operations, the company decided to create a new mobile system and virtual database. The company partnered with an experienced FileMaker developer to create a custom solution. Now, contractors only need to carry one one thing when they head out on the road – an iPad. The day starts by downloading the workload to the tablet before setting off. This includes client notes, maps and any tips for completing the job. Once on site, reports can be generated in real-time and uploaded directly to the database, along with photos. According to Stallone, the benefits were immediate and vast. The company saved $40,000 in operational costs, reduced report generation time by 80 percent and all but eliminated processing errors that used to occur because multiple people needed to enter data before a report was completed. "In a matter of minutes, we can create 200-page PDF reports that integrate 500 photos, venue lists, statistics and location maps in a single, easily digestible document," Stallone wrote. "Reports are automatically uploaded to the web, where clients can review them on demand. A bonus: we can generate reports more frequently, keeping our clients totally up to date on the status of their campaigns. PMD Mobile has revolutionized our business." By using a custom FileMaker database development strategy, the company was able to create a solution that addressed their specific needs. Any company can follow this path by partnering with a certified FileMaker support and training firm and implement a similar strategy.